AI, KI, Künstlichen Intelligenz ist ein Thema, das unsere Zukunft prägen wird. Wir haben uns aufgemacht, um mit Menschen zu sprechen, die direkt mit KI in Berührung sind. Sie vertreten jeweils ihre eigene Sichtweise auf das Thema – vom philosophischen Ansatz des Richard David Precht über den Geschäftsführer einer Roboterfirma, der mit künstlicher Intelligenz die Rentenlücke schließen will, bis zur Chief Compliance Officer der Telekom, die ihrem Unternehmen als eines der ersten überhaupt ethische Richtlinien für künstliche Intelligenz gegeben hat. Vor einigen Monaten haben wir – der Medienkünstler Florian Thalhofer, der Filmemacher Felix Pauschinger, der Journalist Stefan Westphal und der Komponist Monty Ryan – dieses Non-Profit-Projekt begonnen. Unser Ziel ist es, eine digitale Darstellungsform für journalistische oder dokumentarische Inhalte zu entwickeln, die es den Nutzern ermöglicht, sich auf eigenem Weg komplexe Inhalte zu erschließen, zu verstehen, und damit zur Grundlage des eigenen Denkens zu machen. Food for the brain. 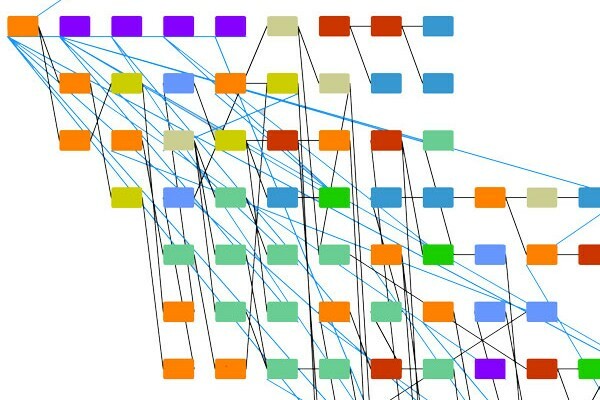 Herausgekommen ist das Konzept der Neural Network Narrative – eine Darstellungsform, die ein Thema in viele kleine Einzelteile (Neuronen) zerlegt, und diese wiederum wie ein neuronales Netzwerk kontextabhängig miteinander verbindet. 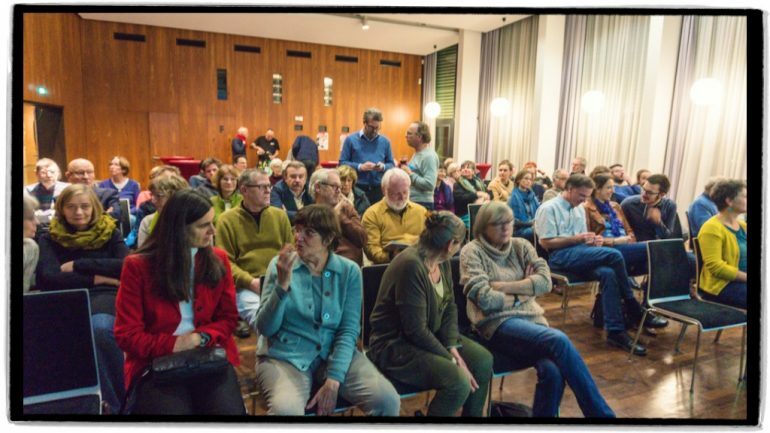 Wie es funktioniert, wie es sich anfühlt, und warum wir glauben, dass digitaler Journalismus neue Darstellungsformen wie die der Neural Network Narrative braucht, wollen wir bei der Release Party demonstrieren und diskutieren. 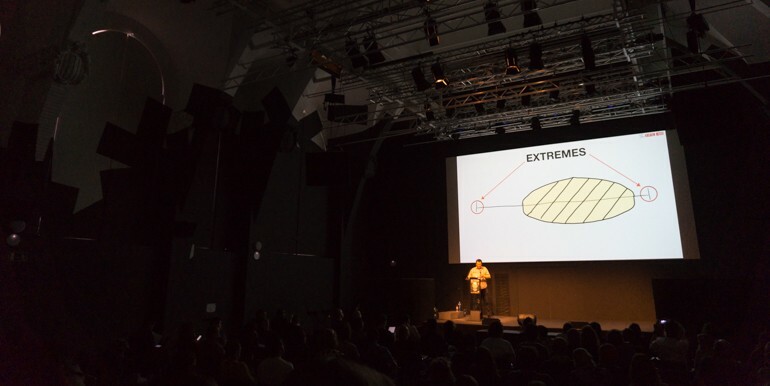 On short notice I was invited to deliver the opening talk atDocmedia – Exploring docmedia production through the lens of web-based and virtual reality technology at Filmuniversität Babelsberg KONRAD WOLF. I took the chance to write a new talk: HOW TO CREATE REALITY is also published on my blog. It is an experiment to find like-minded people for maybe collaborate on a project in summer. We use the platform Meetup to organize these events. This is our first meeting. We are 6 people. We watch Forgotten Flags, discuss, drink beer. More meetings are planned. Keynote talk @ Thinking Through Complexity conference @ Universität in Bayreuth. My first trip with the motorcycle this year. Wie uns die Art, wie wir Geschichten erzählen blind macht, für die Welt. Ein Vortrag, den Florian Thalhofer am 11. Oktober 2016 anläßlich der #DKT16 in der Humboldt Universität in Berlin hielt. Music by Jim Avignon / Neoangin and Ilja Pollach, Cologne. Workshop at Universität Beira Interior, Covilhã, Portugal. This is be the second time I have the honor to speak at i-Docs symposium in Bristol. The last time was a couple of years ago, shortly after I had finished Planet Galata, with is a (normal to me) Korsakow film but also a linear version, that was made to be screened on ARTE television. In Bristol I reported under shock how insane it is, to construct a linear documentary, and that the result of such attempt should not be named documentary but what it is: fairy tale. This talk was very important for me. It started to take me on a thinking process, a journey that I have been on for the last couple of years. I will try to formulate as clear as I can, what I found so far on this trip: The way we tell stories. Talk + Discussion with JUDITH ASTON and MARIA GEMAYEL. Short abstract of my talk. This episode is in English. Episode II is about story telling. 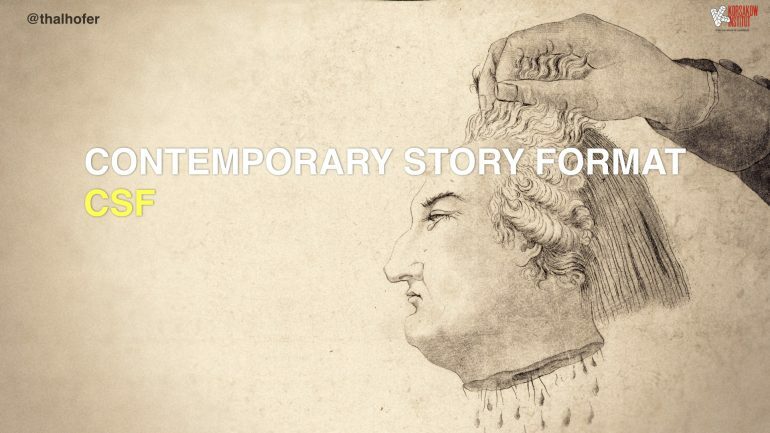 How stories shape out lifes, what Florian found in Egypt and the influence of the Hollywood format. 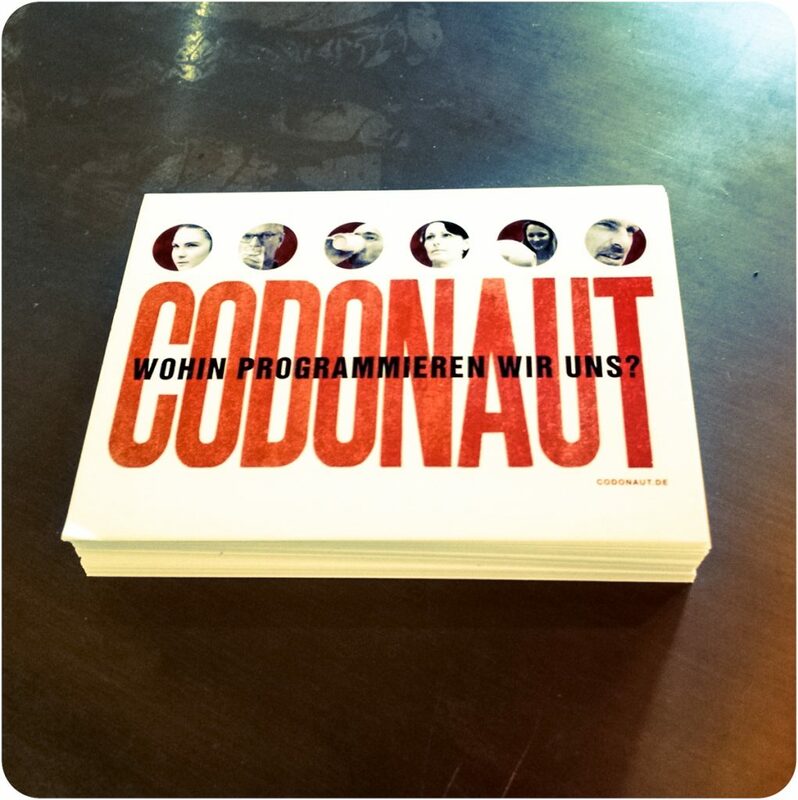 Austrian television ORF recently broadcasted a documentary which examines the future of television. For this film a team from ORF also visited the Korsakow Institute and interviewed Florian Thalhofer. Das Fernsehen ist tot! Kaum haben wir uns an soziale Netzwerke und internetfähige Smartphones gewöhnt, da ist es auch mit der Gemütlichkeit des Wohnzimmers vorbei. Das Leitmedium TV ist entthront, manche meinen sogar: dem Tod geweiht. Tatsächlich rüstet das Fernsehen auf und wird zum Super-Medium: Hochvernetzt, sozial und interaktiv, gerne einmal in 3D, omnipräsent, multifunktional und maßgeschneidert. Die Dokumentation “Die Zukunft des TV” von Siegfried Steinlechner verortet das Fernsehen im jetzt und geht den möglichen Szenarien der Zukunft auf den Grund. 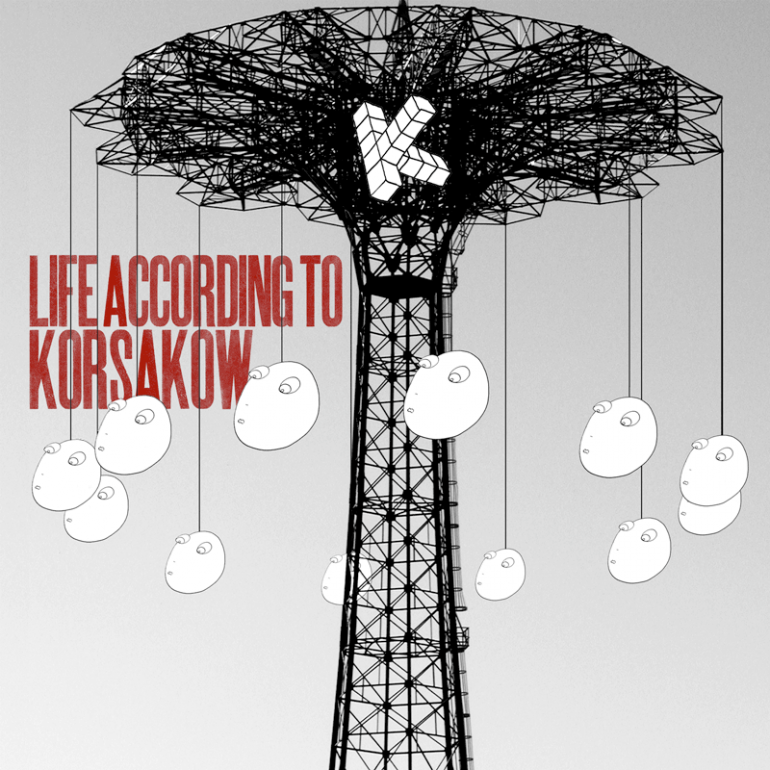 Life According To Korsakow is the title of series of podcasts that we plan to put out on a non-regular basis. It explores Korsakow-Thinking. The first issue is titled “Life According To Korsakow – Bilder und Realitäten” (This podcast is in German). Small World is runs again on modern computers! Small World was first released in 1997 and became a classic digital narrative. In many ways it is the mother (or father?) of Korsakow. It uses many of the principles that were used in Korsakow, later. 54 little stories on what it is like to grow up in a small town. It features Schwandorf, a place in provincial Bavaria, where I happened to be born. (I was actually not really born in Schwandorf, but that is a whole other story). Free download for PC or MAC in German or English, text translated by Liza Stewart and Douglas Heingartner with the voice of my brother Christof. At CLUJOTRONIC an Electro Arts and Games Festival in Cluj, Romania I had the pleasure to do a interactive show with my good friend Jim and his band Neoangin. One day later I gave a talk about Korsakow at the same venue. There were actually people in the audience. The picture was taken before the talk. 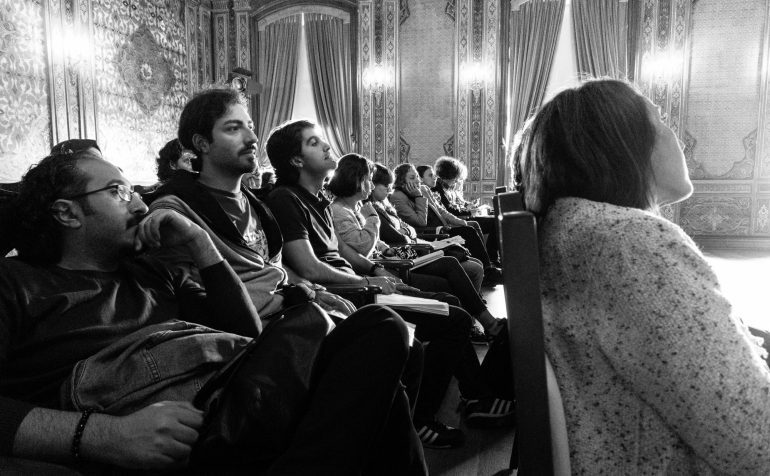 Talk about Korsakow and its philosophy at DocsBarcelona 2015. It was my Fiat’s last journey and being an Italian car, I thought it would be neat for it to do its last trip to the country were it originated from. Well, the car did not make it, in Austria it gave up. It was towed back to Germany and the Meister at the Fiat Fachwerkstatt told us that it would not even be worth changing the oil, not talking about fixing whatever was broken. He was so kind to give us 50 € for it, which was pretty much the value of the gas in the car. No car no more. So we arrived with a delay at Schloss Goldrain, the wonderful location for this years start of the EsoDoc sessions, where film professionals and journalists from all over Europe develop their documentary projects. My wife Elissavet accompanied me and she had a job there as well. More about that later. My job was to offer people new ways of looking at narration. This is my speciality, of course, and I enjoyed myself a lot talking about the philosophy of Korsakow. Will I get ever tired of it? Apart from my lectures I also had the pleasure to work with participants on their projects is group-sessions, that were called think tanks. Well I don’t like tanks, but I love thinking! The participants were amazing, amazing, amazing, so I learned a lot! I also learned a lot from the other lecturers, among them Raimo Lång from Finland, I got to know him the first time and I will never forget the conversation we had late at night at the wine cellar. After an intense day we were dead tired but could not stop discussing narration. Elissavet practiced some of her (what I sometimes call ‘witch craft’ and she calls – ) bodywork with participants of the workshop. It was a game between us, when I had to guess, with whom she had worked during the day. You could easily notice that, because of the people’s bright eyes and ideas. Sometimes I steal some of her tricks when I advice people on their projects. I can’t stop being surprised on the results. This was a very intense week, with sessions starting in the morning and going till night. At the party at end of the week everybody was dancing wildly. 20 people from 18 different countries. My happiest moment was when an old song came up that I always listend to on my walkman, when I was 16 or 17. The Pixies: Where is my mind? Checkpoint Netzdoku is a regular meeting of makers of webdocs. I have the pleasure to introduce Korsakow there. April, 23 19h at Betahaus Berlin-Kreuzberg. 30 minutes GELD.GR and 30 minutes Korsakow. How should we tell stories? 1-day-workshop for students at Universidade Lusófona, in Lisboa. Just returned from a short trip to Brighton. I was invited by Crossover Labs and Sheffield Doc/Fest to give a one-day Korsakow workshop at the Lighthouse. The Crossover Labs guys had the brilliant idea to do a series of workshops with the leading softwares for creating interactive films. I am happy to see Korsakow among these softwares, with its unique angle. Before explaining the software, I talked quite a bit about the philosophy behind Korsakow, in contrast to the hyper linear approach of story telling in linear film and the multi linear approach of most other nonlinear story telling softwares. I made use of the combined brain-power of the workshop’s participants to understand what a story is. For quite a while I am now struggling with the question if a Korsakow film is a “story” at all. The phenomenon of a Korsakow film is for sure a narration. But is it a story? It was the second time that I was invited to deliver a TSCHK! TALK. TSCHK! 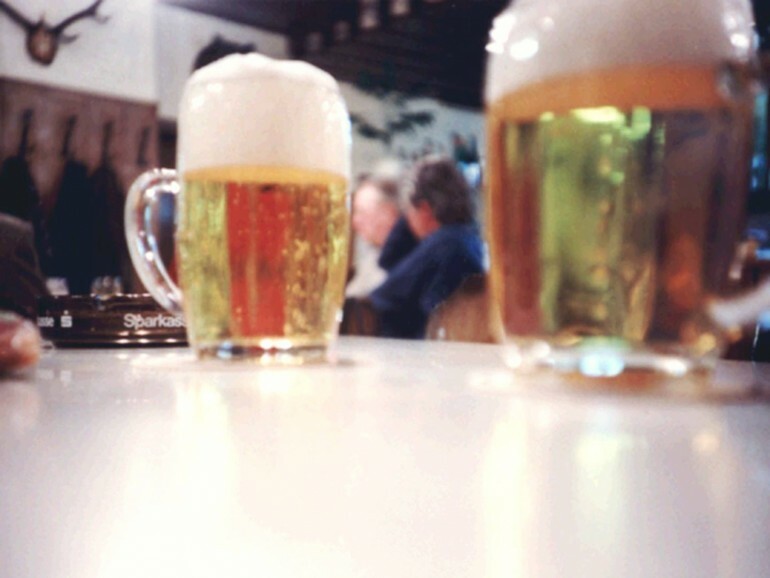 TAKLS have a long tradition, they take place at a very secret bar at the heart of the center of the still cool Berlin. I was quite a bit nervous. For all of you, who have seen more than one of my talks, you might have noticed, that I always say the same. This time I wrote a completely new talk, with a lot of exciting new and complicated thoughts. Unfortunately I read it all from paper, because some of the thoughts were so new to me. It was a premiere and afterwards I had to a promise to my team of advisers, that I will never read a talk off paper again (at least outside of university). Since then I gave that talk two more times and then off the top of my head and in English, and that was really fun! The 1st German version might have been a bit dry. But we fought that dryness at the end of the evening with Tequila. 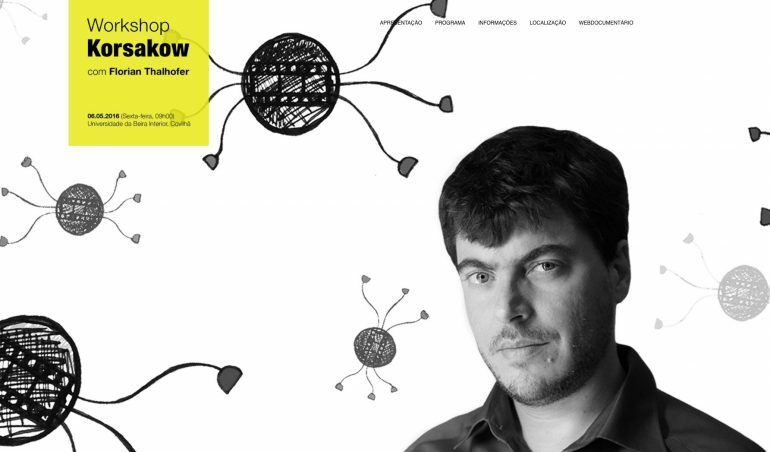 The title of the talk: “Why we should stop telling stories”. Intensive 4-day Korsakow workshop for students at HSLU in Luzern. Very productive. Great school. Cool students. Results here. ARTICLE IN DOX MAGAZINE – INTERACTIVE STORYTELLING TOOLS: FRIENDS OR FOES? Der Dokumentarfilm ist mehr denn je das Medium der Stunde, um die gesellschaftlichen, politischen, wirtschaftlichen und ganz individuellen Entwicklungen in intensive filmische Erzählungen umzusetzen. Denn es geht immer darum, emotional zu verstehen, welche Auswirkungen die Veränderungen der Welt auf uns und unsere Kulturen haben. Dokumentarfilme gibt es in vielen Formen und Formaten, man kann sie im Internet, Fernsehen und auch im Kino sehen. Die Möglichkeiten der Finanzierung sind so vielfältig wie die Gestaltung. Über all diese Möglichkeiten gibt der vorliegende Band Auskunft, in dem ausgewiesene Praktiker zu Wort kommen und der auch neueste Trends berücksichtigt. Beiträge von Jörg Adolph, Michael Augustin, Frédéric Jaeger, Rudi Gaul, Florian Thalhofer, Kay Hoffmann, Egbert van Wyngaarden und Interviews mit Thorsten Frehse, Patrick Hörl, Julia Basler, Wim Wenders u.v.a. 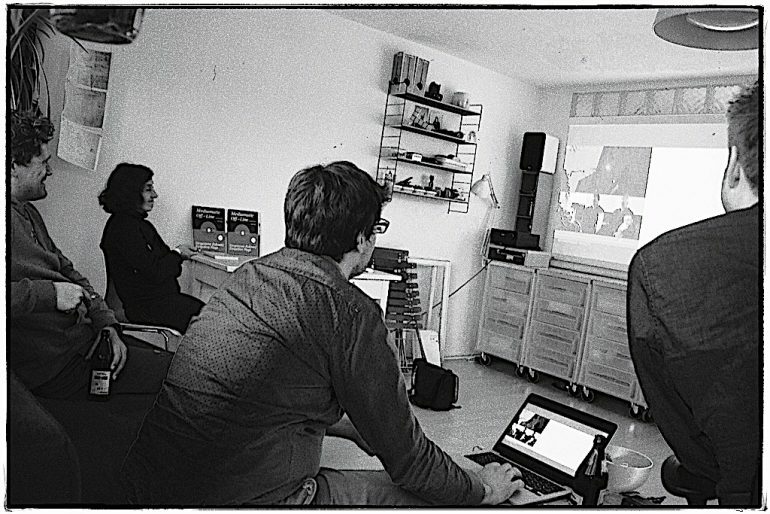 Florian Thalhofer leads a Korsakow-workshop at the Centre for Digital Cultures at Leuphana University Lüneburg. Florian is in Olomuc, a small town in Czech Republic to help filmmakers to develop their idea for a scientific documentary and give them more understanding for how narratives can be built for the internet. He tries to help to make the right decisions for the future. The training program Camp 4 Science is a part of industry program of Academia Film Olomouc that currently ranks among top European festivals focusing on science documentaries. 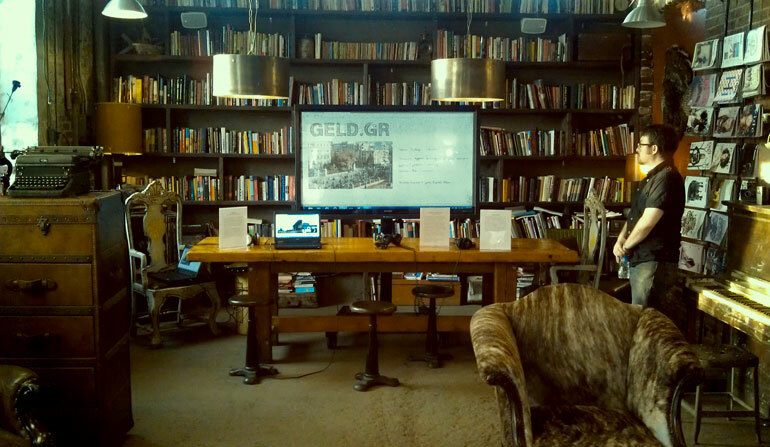 GELD.GR and Forgotten Flags are shown at Georgia State University’s 2CI New Media Research Cluster – two Korsakow films by Berlin-based artist Florian Thalhofer at the 2014 Atlanta Film Festival’s SOUND + IMAGE event. As part of the East Doc Platform by the Institute of Documentary Film Florian Thalhofer will give a talk about Korsakow. First A, then B, then C. Florian Thalhofer does not believe in that any more. But why is this the dominant structure when it comes to story-telling? Because the most influential form of narration is the one of linear film, where one still-image is glued to the following one, just like in the times of celluloid. Thalhofer proves that there are different ways. For more than 15 years he has been doing research on an alternative system to build narration called: ‘Korsakow’. After my gig at MIT at the end of 2013 I was asked for a couple (!) of interviews. After the interview about Planet Galata by Mine Gencel Bek, that was published in Turkish here comes the second interview, this time about Nonlinear Narration and Korsakow in general. Thanks to Jeffrey R. Young! Mine Gencel Bek met Florian in Boston and did an interview with him about Planet Galata. It was pubished on t24 in Turkish. Dec 2nd + 3rd, 2013. This is the last stop on Florian Thalhofer’s short Korsakow tour of North America. Thanks to Myriam Rafla of the Korsakow-Institut for coordinating, and to all our hosts: Ben Miller at Georgia State, Brenda Longfellow at York University, and William Uricchio and Giuliana Cucinelli at MIT.